The Constitutional Court of Moldova validated on Saturday, March 9th, the parliamentary elections held on February 24 and the mandates of the 101 members of the future parliament. Thus, four political parties and three independent deputies will meet in the newly formed parliament. More information about the structure of the parliament of the Republic of Moldova here. Now let’s compare the new parliament structure and some older versions of it and see how new it is in reality. According to certain opinions, new people and new factions in the parliament mean one more chance to get the things changed in Moldova. Does it work in reality? 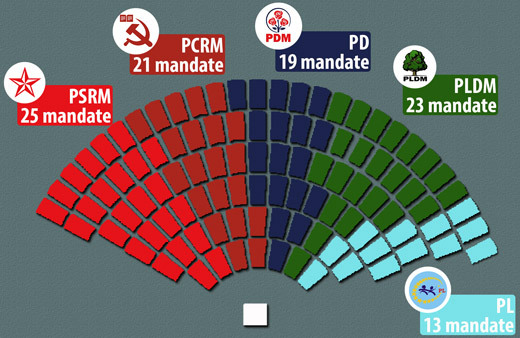 When comparing the factions that entered in the parliament, only 2 political parties that had been part of the legislative in 2014 earned mandates in 2019 as well – the Party of Socialists of the Republic of Moldova (PSRM) and the Democratic Party of Moldova (DPM). 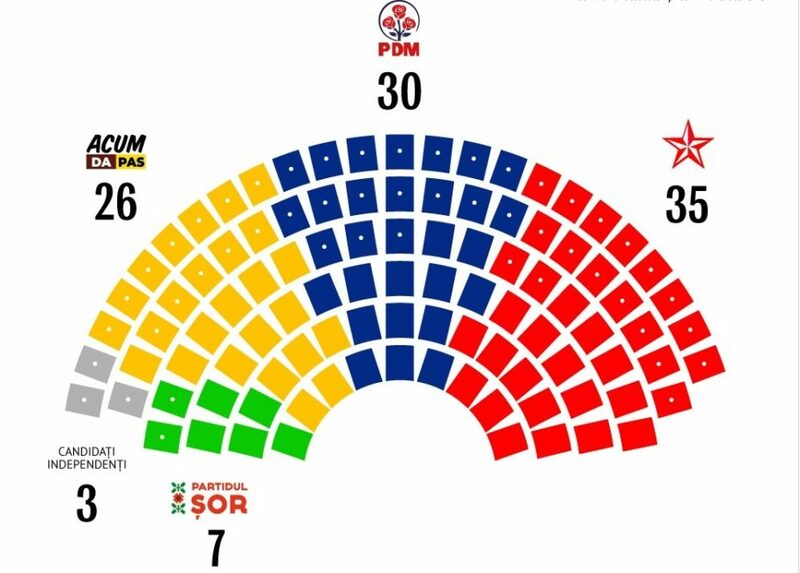 The Liberal Democratic Party of Moldova (LDPM), the Communist Party of the Republic of Moldova (PCRM) and the Liberal Party (LP) were replaced by the electoral bloc ACUM, the “Șor” Party and 3 independent candidates. Consequently, 36 seats in the future parliament will be occupied by new factions. Doesn’t sound too bad, isn’t it? 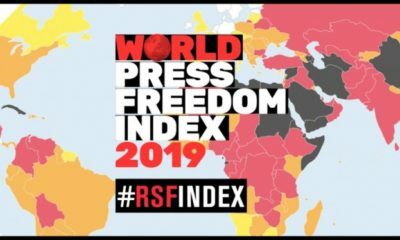 However, when digging deeper and looking at the persons that got the seats in the parliament, it can be observed that, as compared to the lists of members of the Parliament of Moldova in 2014, those of the PSRM and the DPM in 2019 didn’t change too much. Therefore, on the PSRM current lists 17 members of the 2014 parliament managed to hold their mandates, whereas the DPM has 12 members of the 2014 version of parliament on its current lists. One member of the electoral bloc ACUM, previously a LP member in the parliament, got a new seat. Moreover, when going even further to the results of the parliamentary elections in 2010, one can notice that some of the members of parliament back then, that took a break in 2014, were ‘recycled’ by the political parties and appeared again on the lists of members of the 2019 parliament. Hence, one PSRM member, one ACUM member and 3 DPM members that had been members of the Parliament of Moldova in 2010 are back on the 2019 list of members of parliament. In total, 35 out of 101 members, that meaning more that one third of the future parliament, had previously ruled in the Moldovan legislative. It is important to mention that since 2014, some other transformation of the parliament took place. Therefore, its structure in 2019 right before the elections wasn’t the same as after announcing the results of elections in 2014. 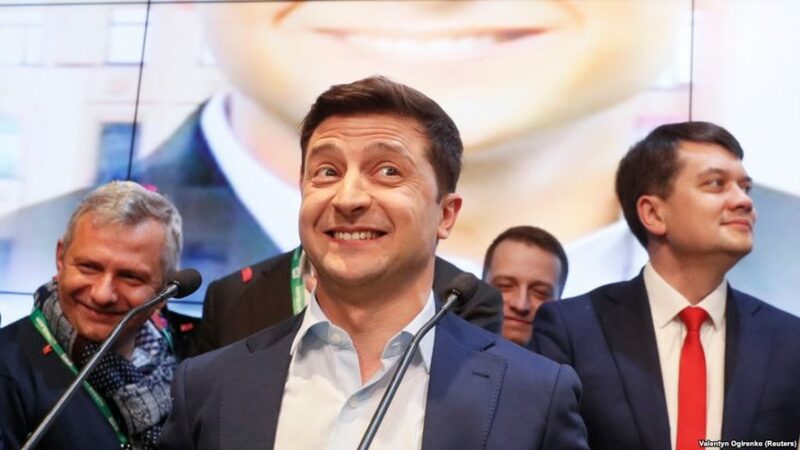 Some of the politicians ‘migrated’ from one party to another (particularly, to the DPM party), others disappeared from the political arena (see the case of the former Prime Minister of Moldova Vladimir Filat). Is it right or is it wrong to have the same people in power again and again when things are not going better? Time will show us. However, considering the previous experience, one thing can be surely concluded: people of Moldova can’t really learn from their previous mistakes. Dumitrița loved music since her childhood. “In my family no one is a musician, but we sing a lot, especially when we get together for holidays.” When she was 7 years old, her mom brought her at the Music Lyceum “Ciprian Porumbescu” in Chișinău. Dumitrița says that at that moment she didn’t know what instrument she wanted to play. “I think the choice was, in fact, more of my mother. At that age I did not realize what instrument I would like to play. I liked music, I had a musical hearing and my mother decided I should try, and that’s how it all started,” recalls Dumitrița. It didn’t take too much time for her to understand that this is what she would love to do her entire life. Every day, Dumitrița fell in love more and more with classical music. 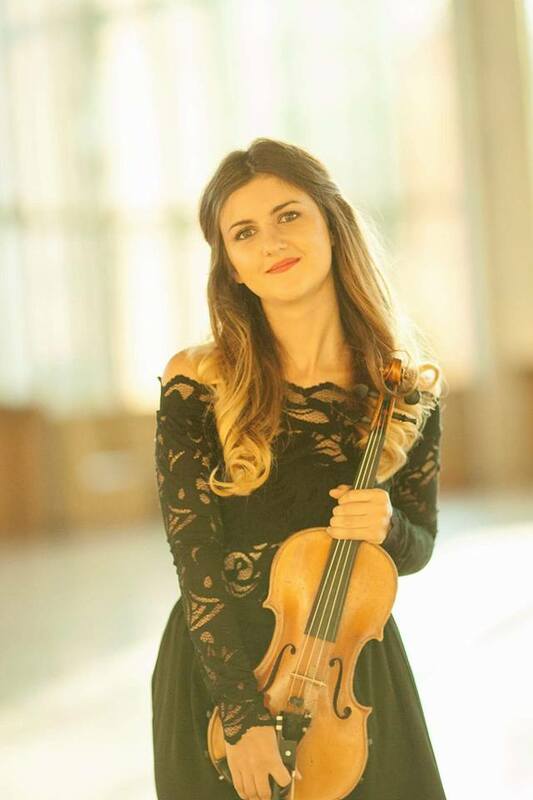 “Ever since I started learning at the Music Lyceum “Ciprian Porumbescu”, I did not think I could do something else besides music.” The help and inspiration she got from her teachers, the passion about music, and the motivation from her successes at the national and international competitions convinced Dumitrița to continue playing violin. 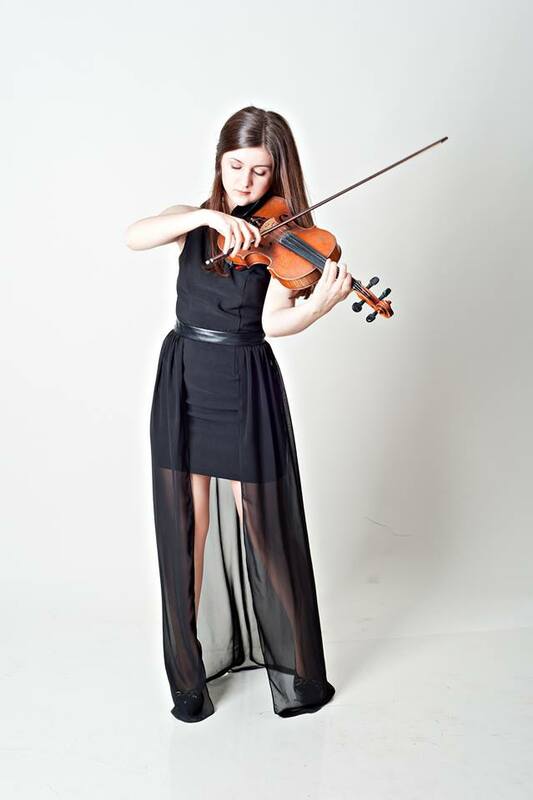 “Since I was 14, I started playing in youth orchestras where I had the opportunity to meet a lot of people from different corners of the world.” Our protagonist made her solo debut at the age of 16 with the Moldovan National Chamber Orchestra and participated in more than 15 national and international competitions. 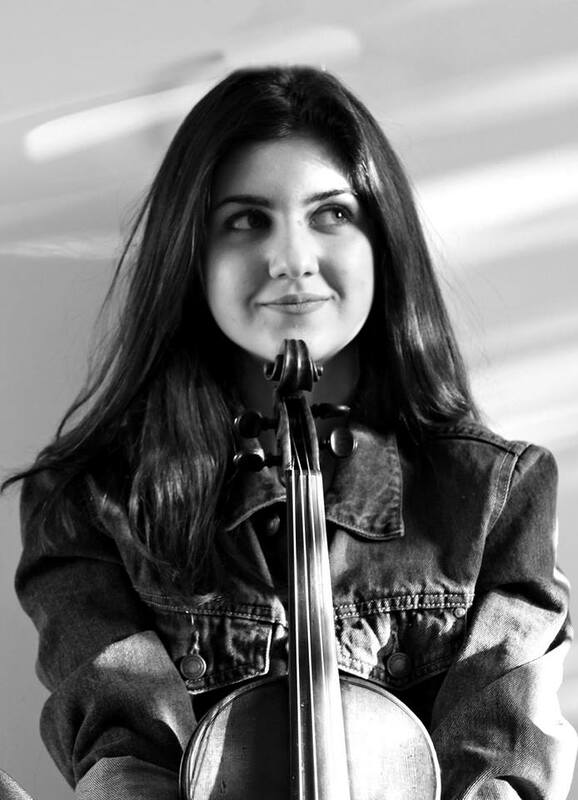 Among the most important awards she won were the 1st Prize at the “Nedyalka Semionova” International Violin Competition (Bulgaria), the 1st Prize at the National Competition “Paul Constantinescu” (Romania) and the 2nd Prize at the International Competition “Eugen Coca” (R. of Moldova). “Every prize carries a distinct significance for me because each of them is about a lot of work and shivering. 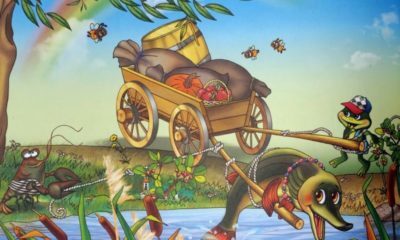 The first contest I participated in – the “Eugen Coca” International Competition, was special though, as it was in the 4th grade and was the one that made me spread my wings,” specifies Dumitrița. Dumitrița understood that she would like to continue her studies abroad while she was still studying in Moldova. “I realized that it would open more doors and help me to progress more.” Later, she decided to apply to the University of Music and performing Arts in Mannheim, where she is currently studying. “Here in Germany, the attitude towards music differs greatly from that in Moldova. Classical music is loved, studies are made at a top-level and the competition is very high. That makes me think I have chosen well” she states. 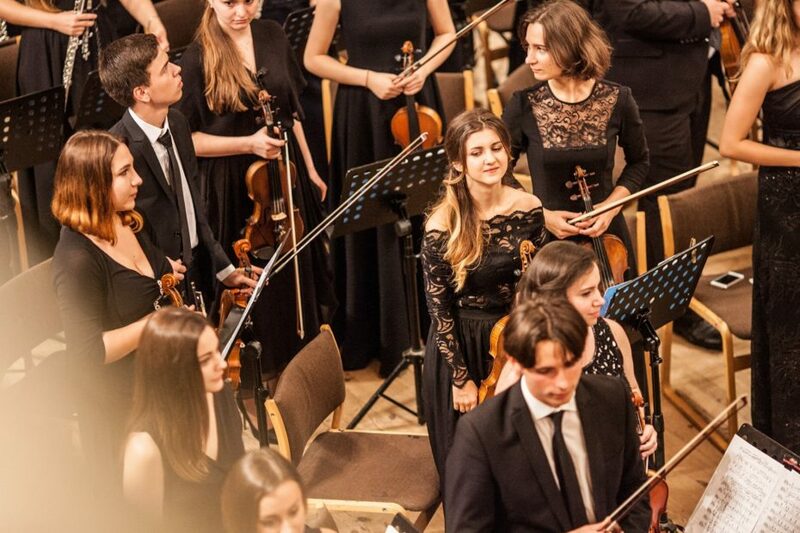 Dumitrița managed to perform in such orchestras as the German Kurpfälzisches Kammerorchester, Youth Orchestra Romania-Moldova, Moldovan Youth Orchestra, Romanian Youth Orchestra, Romanian Symphony Orchestra, etc. 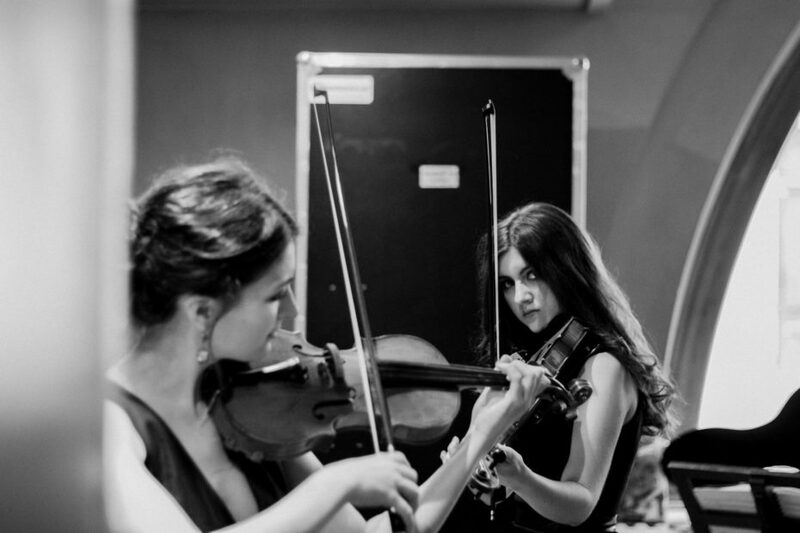 Recently, Dumitrița got the chance to be a violinist in one of the best European youth orchestras – Gustav Mahler Youth Orchestra. Moreover, for more than two years, she has been playing a Charles Adolphe Gand violin, dated 1855. As time went by, she gathered experience and a lot of wonderful memories. “I remember that at the last concert in the spring tour with the Gustav Mahler Youth Orchestra in Musikverein, Vienna, during the third symphony by Gustav Mahler, you could see tears in the eyes of both audiences and those on stage. It was a magical and a very emotional moment,” reveals Dumitrița. Dumitrița plays in many orchestras, studies at university and even makes some time for other hobbies she has – travelling and photography. “I’m lucky that the profession I chose gives me the possibility to travel quite often. I have projects in different locations of the world, but I get a special satisfaction when I have the opportunity to spend a few days of vacation and to recharge my batteries. For some time now, I’ve discovered my passion for photography, and that’s what I do more and more often,” she says. 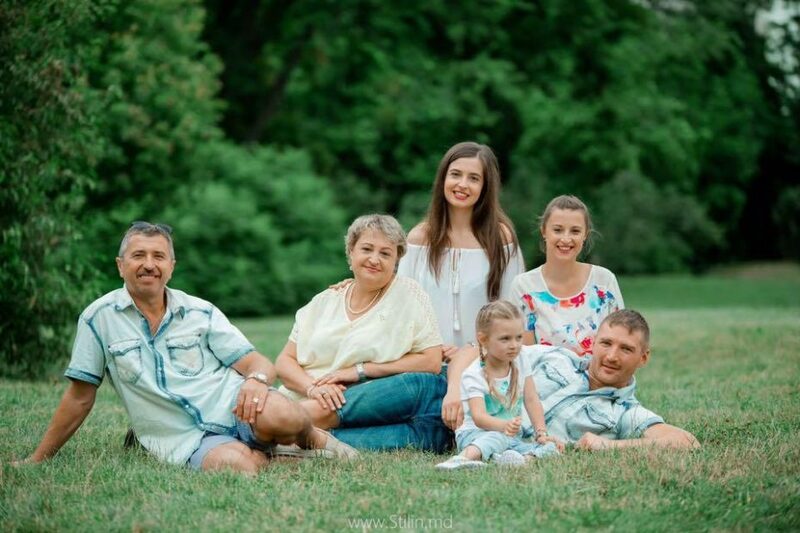 Dumitrița still feels a connection with her homeland due to the fact that she has her family in Moldova and she also often craves for the Moldovan traditional food, as she says. There is one more thing that is not widely known about Dumitrița: the violin she plays – the Charles Adolphe Gand violin, is a real treasure, literally, as it was estimated as having a value of about $75 000. “I am playing this violin on generous loan from Prof. Gottfried Schatz. It is a special instrument with very strong and very warm sound at the same time. Only after I started playing this violin, I understood how much a really good instrument can help you. It’s a whole new feeling. The pleasure of creating music grows enormously when playing such an instrument. Still, it’s also an enormous responsibility, so I always do my best to keep it safe, take care of it and when I travel, I never let it out of my sight,” Dumitrița reveals. 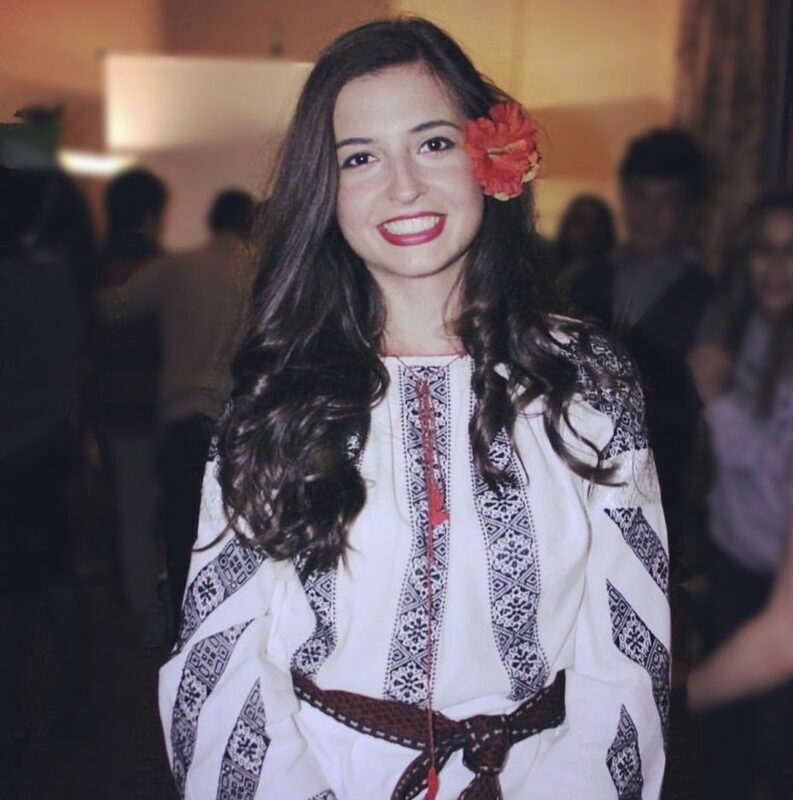 This week, we want to introduce to you a very special girl from the Republic of Moldova. 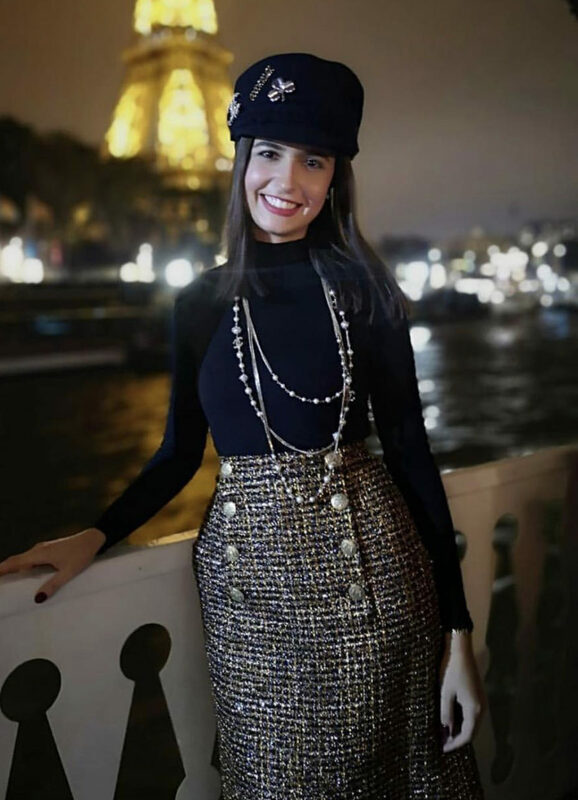 Her aspirations have a very exotic and, in the same time, stylish form, literally, because she lives in Dubai and works for one of the most reputable companies in the fashion industry. Her name is Iuliana Motologa. Iuliana always dreamt of having a progressive and smooth learning path, being able to experience the joy and problems of a normal student’s life, as she states. Moreover, it wasn’t a sudden decision. It took her around 2 years to understand and decide which path she wanted to follow. 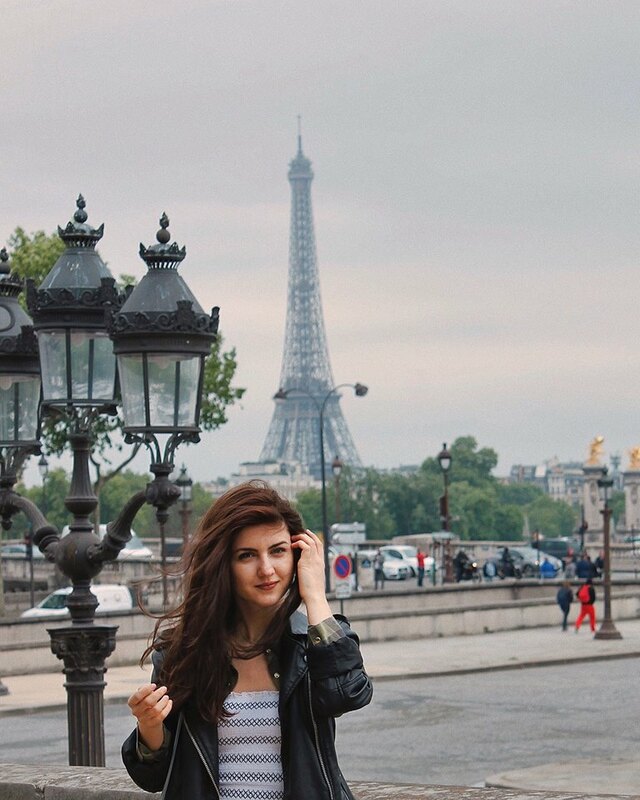 First, Iuliana moved to the United Arab Emirates and gained her work experience at a British luxury fashion house. 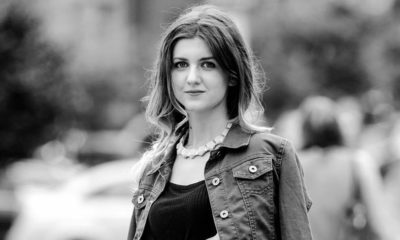 “Having a minimum of 2 years work experience was a criterion for selection in the master’s programme I had chosen in marketing, a degree I knew would help me grow in my desired career path,” says Iuliana. All of us know or guess how hard it is to study and work in the same time. 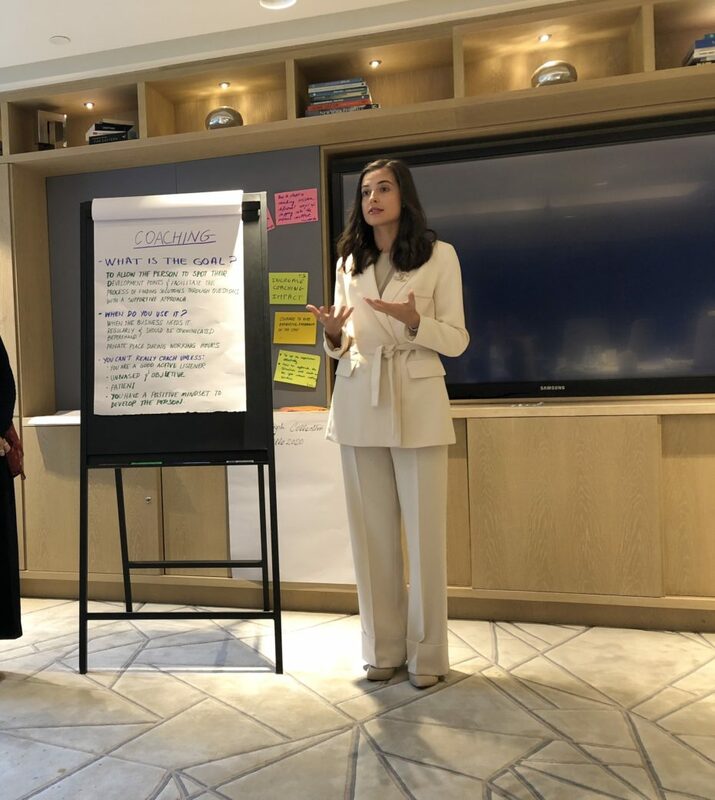 As Iuliana told us, doing that in the UAE was even more challenging: “My Master’s programme with the University of Liverpool wasn’t flexible at all, as some might think when they hear about distance learning. Our programme was well structured, starting with a clear syllabus and ending with precise and strict deadlines. Just to give you some numbers: there were a total of 8 core modules, each one with a duration of 8 weeks and 2 weeks break in between. In addition, we spent 40 weeks on our final project, conducting our own research and writing the dissertation. We used to spend an average of 25 hours per week studying, apart from the 48 hours of work per week, as per the UAE law.” A simple mathematical calculation, gets us a result of about 73 hours of work per week, that meaning around 10 hours every single day (!) Would you now say that it was so hard for you to do it? Of course, Iuliana had her own methods to resist to such a workload. 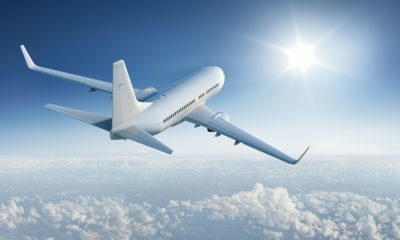 “To keep me sane, I was trying to travel as much as I could in the 2 weeks of University breaks, scheduling a holiday from work at the same time. I frequently went on ‘wellness retreats’ to tropical destinations or to explore new countries,” recalls Iuliana. 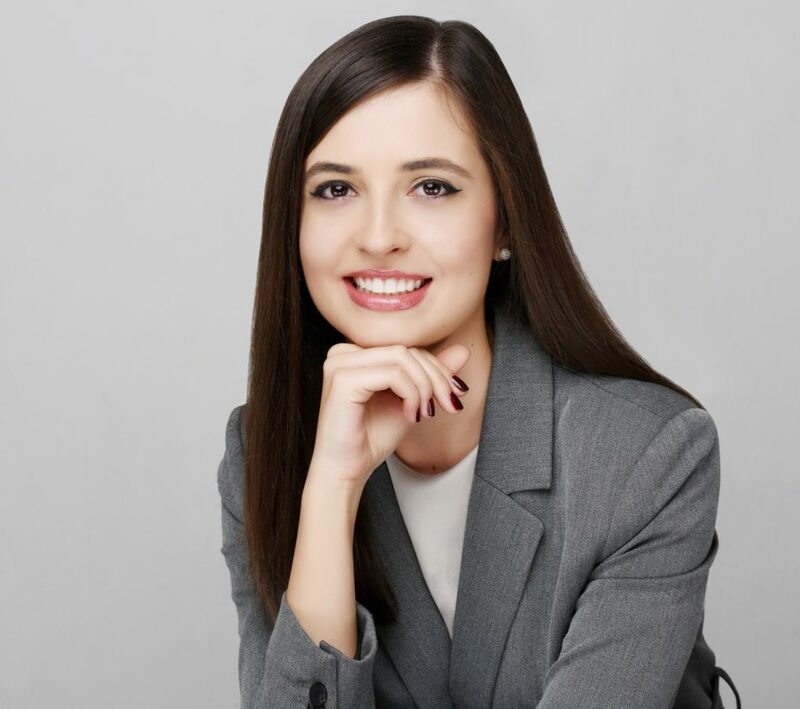 “Ever since I had my first interview with my employer in 2014, I expressed a wish to develop myself in this direction, and I started from scratch, learning everything, as a sales assistant.” This is how Iuliana describes her beginnings at the company she is currently working at. 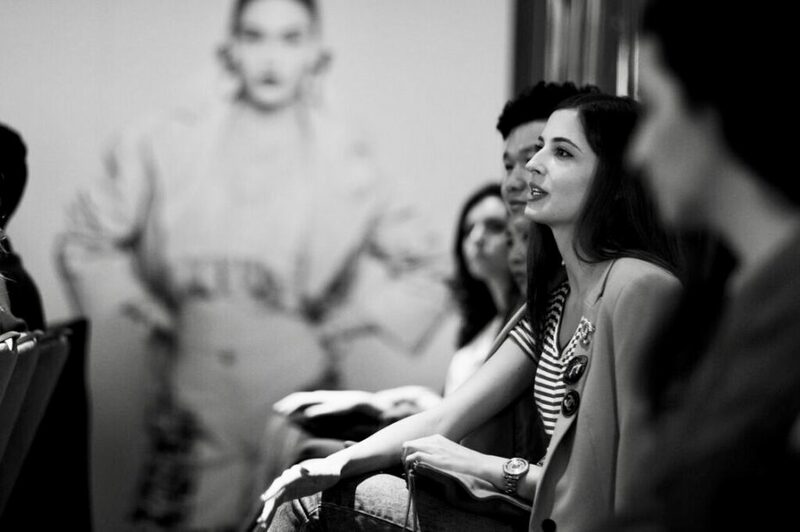 Today, she holds the position of a fashion trainer for Middle East and India. 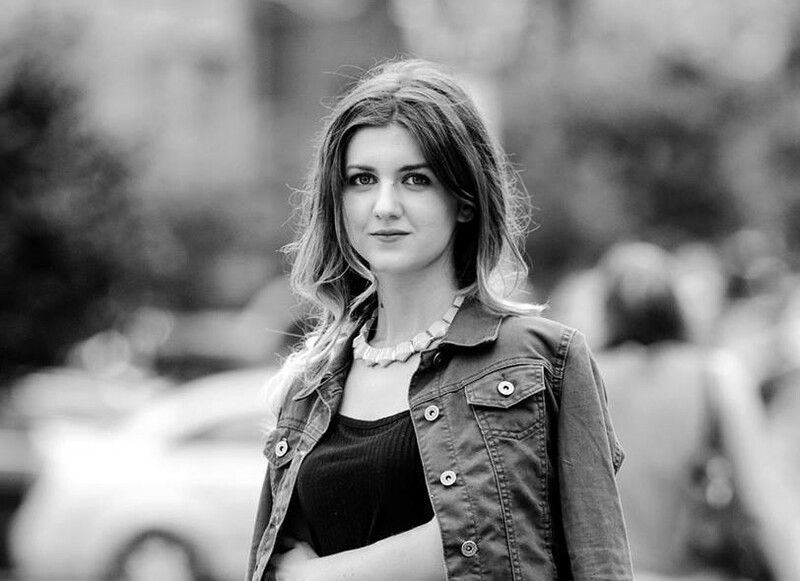 “Now I work for the fashion division, training retail teams on product and brand knowledge with a deep focus on client experience, it’s the best job ever! I interact on a daily basis with more than 35 nationalities, people of different ages, cultures and seniority levels, based in several countries across the region. I constantly learn exciting new things about them,” claims Iuliana. 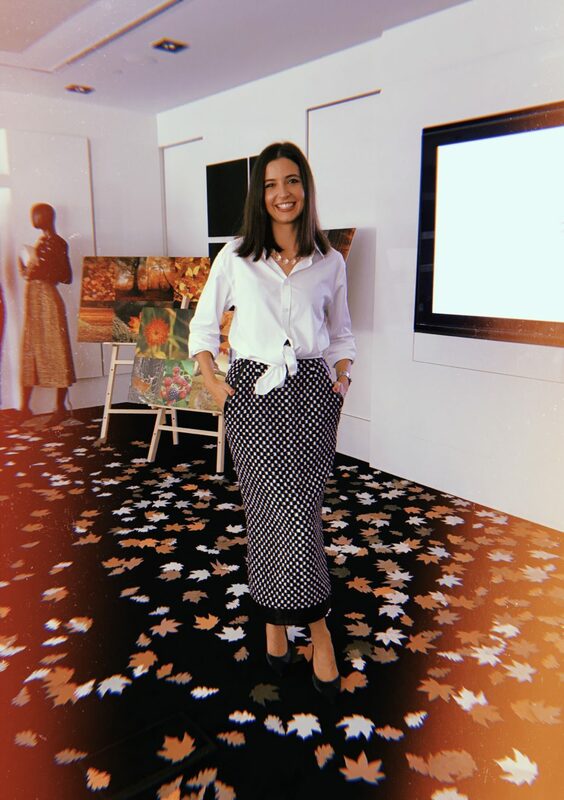 The main benefits of working for one of the best companies in the fashion industry, according to Iuliana, is to be surrounded by the best people and that every day, she comes to work with positive thoughts and a smile on her face. “I’m very lucky to be able to travel for work to places like Beirut, Delhi, Doha, Kuwait, Paris and Amsterdam. At times, I choose to extend my weekend and explore the city. 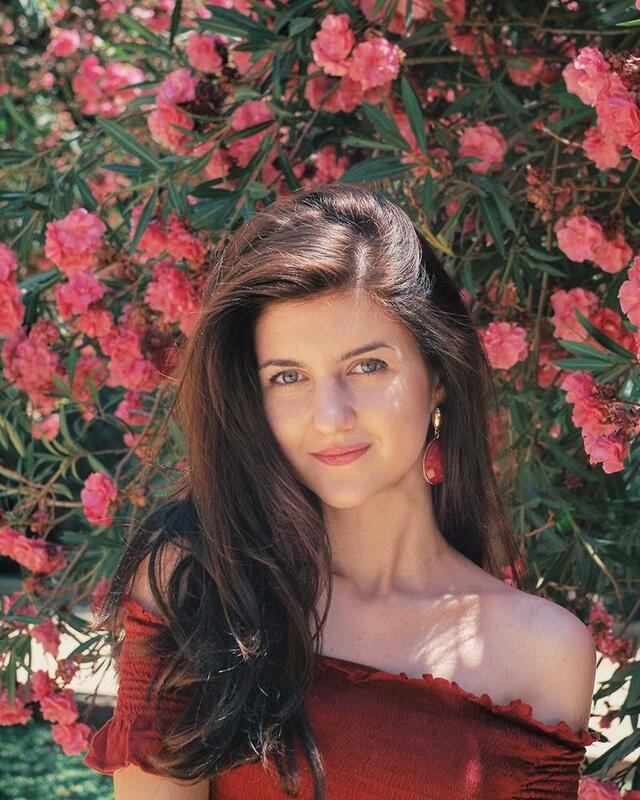 When I come back to Dubai, I prefer to have relaxing weekends, catch up with friends, and go to my Salsa classes.” Iuliana reveals that she is in a constant quest for an interesting sport activity, which she would share with a friend. 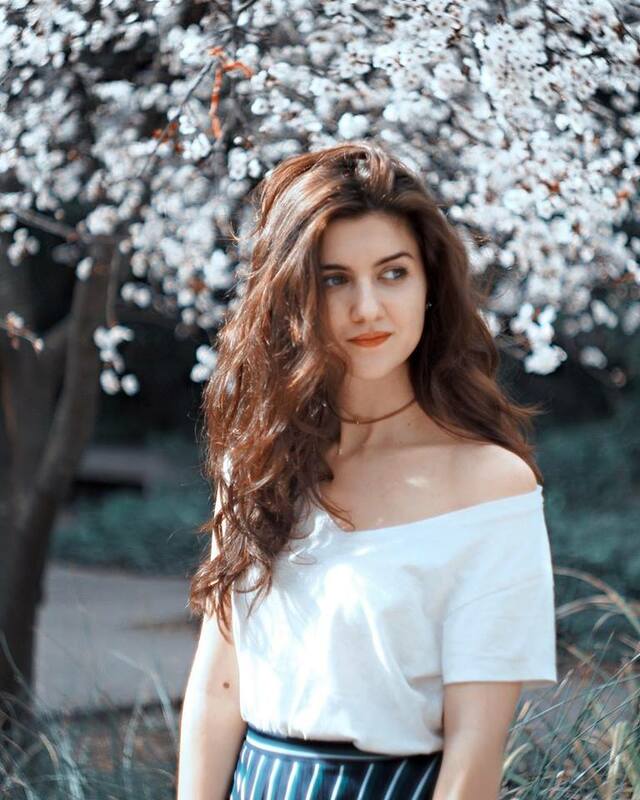 Iuliana lives in Dubai – a fast-paced city that can host people of any nationality, with any preferences and lifestyle. “There are so many things to try and activities to embrace in Dubai. You can enjoy yoga, surfing, sport kite, Latino dances, horse-riding, dune bashing etc. The comment that most of expats will tell you is that there is not enough time to practice all of them. Time is money indeed and we can all feel it here,” states Iuliana. Her views and mindset suffered a big transformation since she moved to Dubai. “I tend to think that this change has left a major footprint on who I am today. I’ve learned to keep my mind open and my face straight when talking to someone from a different background,” she says. Iuliana entered a diverse new colourful world. “There is not one single Arab culture. There are multiple cultures that translate in different behaviours, dialects, and traditions within this region. The Arab world is composed of so many countries from North Africa to the Asian continent, and what was a surprise for me is that, sometimes they don’t even understand each other’s Arabic sentences because of the dialect. The Gulf countries remain a mystery for me, as I had only professional interaction with true locals, but I can tell you about Lebanese, Syrians, Egyptians, Jordanians, Palestinians, Moroccans, Iraqi, Iranians who have one thing in common: the love for food, and their food is absolutely delicious!” Our protagonist says that she was able to give up on the traditional Moldovan “plăcinte”, for the food she tried there. People of Arabic cultures are friendly, light-hearted, and very warm, as Iuliana states.